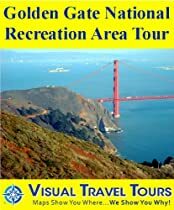 This section of the Golden Gate National Recreation Area includes woodlands, a fort, a valley, a lagoon, and the incomparable Marin Headlands with breathtaking views of San Francisco! The Golden Gate National Recreation Area is one of the most visited National Parks in the United States, hosting over 13 million visitors per year. It is also one of the largest urban parks in the world with a size rivaling the urban areas of Marin, an affluent Bay Area county. More than 80% of its size is devoted to wild or open lands. This tour of the GGNRA units within Marin County includes Muir Woods, Olema Valley, Bolinas Lagoon, Fort Baker, and the incomparable Marin Headlands – with its breathtaking views of San Francisco and the world famous Golden Gate Bridge. AUTHOR – Brad Olsen is a Contributing Editor for World Explorer magazine and has written several guide books. His seventh, “Sacred Places Europe: 108 Destinations,” was released in March, 2007. The second edition of “Sacred Places North America: 108 Destinations” was released in 2008 and won the “Best Travel Guide for Planet Earth” Award in 2010. Brad’s commentaries have appeared on National Public Radio, CNN and the Travel Channel. He enjoys extended global travel (particularly to exotic locations), and public speaking on the subject of sacred places.